Suzanne Gilbert practices in the areas of financial and real estate litigation, business litigation and creditors' rights. Ms. Gilbert has experience representing clients in complex commercial disputes in federal, state and bankruptcy courts. Ms. Gilbert has substantial experience representing financial institutions and other lenders in a variety of matters, including complex commercial foreclosures, loan workouts, defense of lender liability claims, and in fraudulent transfer and preferential transfer actions. Additionally, a significant portion of her practice involves real estate litigation, including contract disputes, title issues, environmental issues and mortgage fraud. She also has significant experience in matters involving Article 3 and Article 9 of the Uniform Commercial Code. In addition to her focus on financial and real estate litigation, Ms. Gilbert has also defended class actions involving Florida's Deceptive and Unfair Trade Practices Act and the Telephone Consumer Protection Act. She has also represented one of the world's largest biotechnology companies in disputes and arbitrations relating to product licensing arrangements. Since 2007, Ms. Gilbert has served as the practice group leader for the firm's Central Florida Litigation Group. 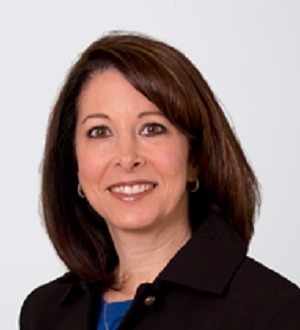 In addition, she chairs the firm's eDiscovery and Technology Committee. She previously served as the Orlando office coordinator of Holland & Knight’s Women’s Initiative Group, a firmwide program aimed at enhancing opportunities for female attorneys, as well as promoting marketing and client development programs for Central Florida businesswomen and community leaders. In addition, in 2003, Ms. Gilbert was selected to participate in the inaugural class of the firm’s Rising Stars program, a year-long economic development program which encourages women attorneys towards community and firm leadership, as well as their advancement in the legal profession. In college, Ms. Gilbert was a manager for the men's basketball team at Duke University. During her tenure as head manager, the team won the 1991 and 1992 NCAA National Championships.